Dr. Trent Douglas and Dr. Katerina Gallus discuss Mommy Makeover surgery goals, candidates, recovery, and procedures. The goal of Mommy Makeover is to restore your figure and leave you looking better than you did before kids. The best candidates for this surgery are women who are done having children and are at a stable, healthy weight. Mommy Makeover involves breast surgery and body contouring. The breast surgery can be a breast lift, breast augmentation, or breast reduction. The body component can be tummy tuck or liposuction. The recovery can take four to six weeks, so it’s important to plan the surgery at a time where you can take the adequate time to get a good result. 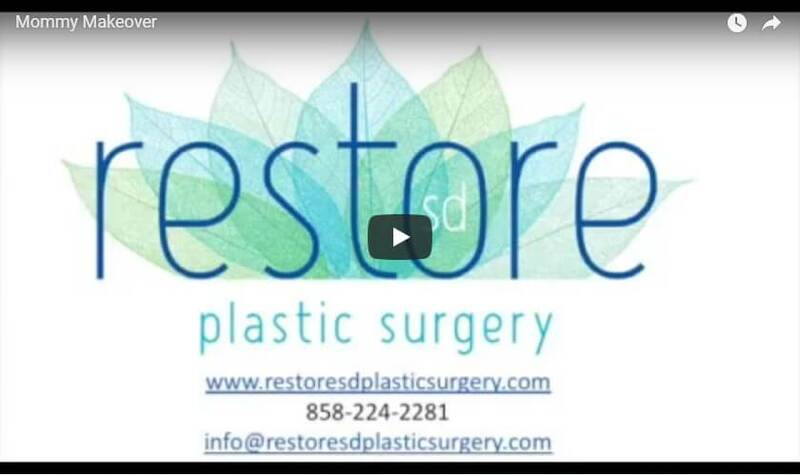 Mommy Makeover has one of the highest satisfaction rates and we really enjoy doing them at Restore SD Plastic Surgery. We’ll look forward to seeing you for your Mommy Makeover consult.